In the market for a class C motorhome that offers you an exceptional place to live while on the open road? 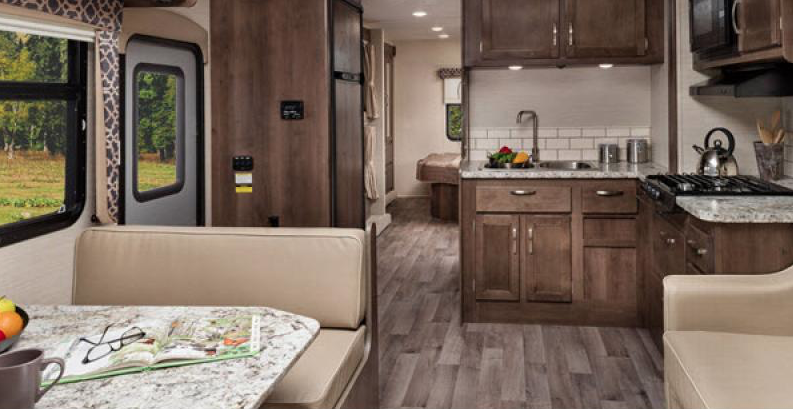 The impressive Jayco Redhawk class C motorhome is a great RV that offers you everything you need to enjoy your time on the road with your family. It’s easy to drive and maneuver and promises to keep the entire family happy. Read our Jayco Redhawk class C motorhome review to learn more. 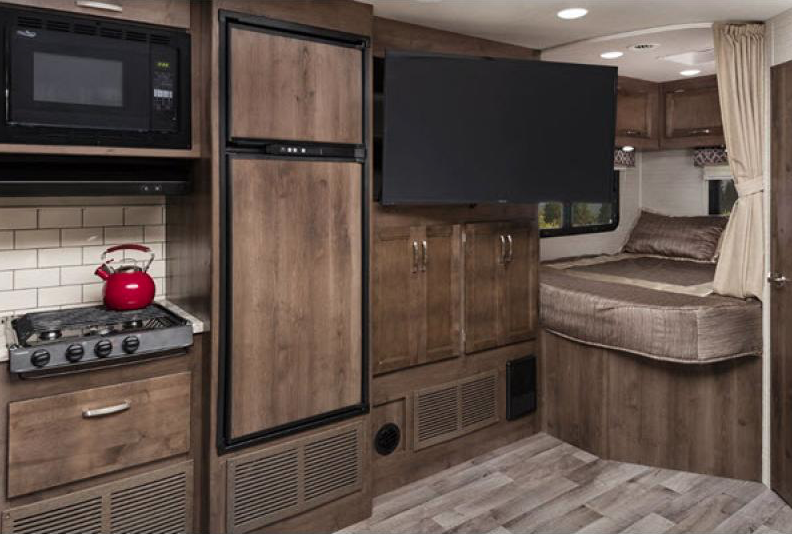 The Redhawk provides you with everything you need to create delicious meals on the road. From the attractive cabinetry and countertops to the durable flooring to impressive appliances, you’re sure to love everything about this space. Whether you’re looking at having a family meal or watching a movie, you’re sure to feel right at home in the fabulously designed living area. 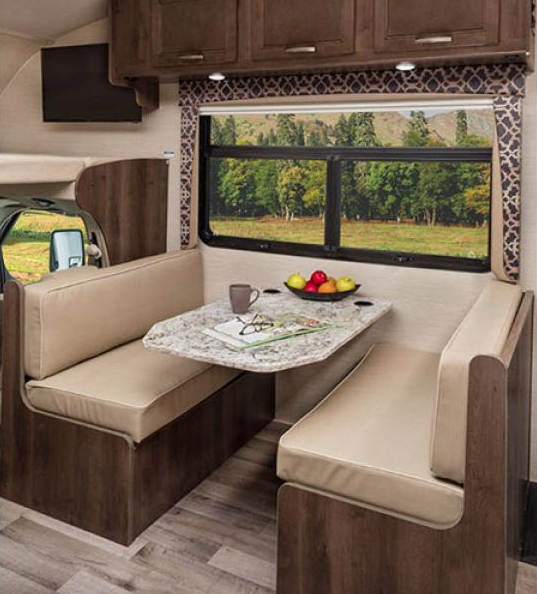 The booth dinette is a comfortable space to enjoy a meal or play a game together and is found in nearly every Redhawk floorplan. The Redhawk was created to be an entertainment lover’s paradise. It comes with all the great things you need to enjoy a movie, watch the ball game, or simply kick back and enjoy a glass of wine while you listen to some music. Cable TV hookup with RG-6 coax | Yeah, that means you can get cable TV anywhere you go! Digital antenna with signal booster | Get local channels wherever you are. Catch the news, weather updates, or your favorite sitcom. If you’re interested in learning more about available Jayco Redhawks for sale, contact us. We can help you find the best RV for your needs and answer any questions you have.